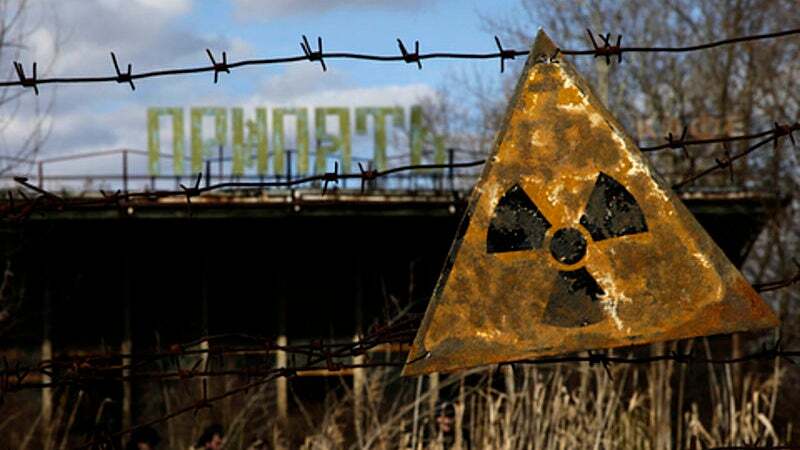 It's been 30 years since the Chernobyl disaster and radiation levels in plants seemed to have died down. So why are levels of radiation in milk still peaking? A new AP investigation found that radiation levels in milk from dairies along the border of the 1986 Chernobyl exclusion zone were 10 times higher than accepted limits. Their result contradicted those of the dairies' own tests which had long claimed all levels were at or below normal. But why is this problem cropping up a full 30 years after the disaster, and why is milk at the centre of the problem? Part of the answer can be found in the local population's eating habits, but a larger part can be found in the eating habits of the cows. On one hand, the surprised response from the farmers in the story is not completely without backing. Recent studies in the past decade of plants around the disaster area showed that many plants appeared to be relatively unharmed by their exposure to radiation. However, that result seems to be limited to a few select crops with good natural defences against it, like soy and flax. Cows, however, are not chowing down on that relatively expensive soy or flax. Cows are eating grass, and they're eating a phenomenal amount of it — an understandable reaction when you have a four part stomach to feed. A dairy cow eats around 9kg of grass everyday, depending on the cow. Even low amounts of radiation being consumed so steadily are going to build up fast, and that radiation eventually shows up in a much more concentrated form in the cow's milk. In fact, American milk has also seen very small radiation spikes (albeit at a considerably lower size) due to the same process. This is why the AP's results make sense, even long after radiation levels seemed to be below accepted limits. Add to that the fact that milk is mostly drunk by the very young on an everyday basis, and radioactive milk could end up being one of the longest lasting impacts of Chernobyl. Unless, of course, we do something about it.